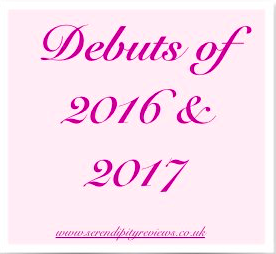 Today's debut author of 2017 is Jennifer Killick. 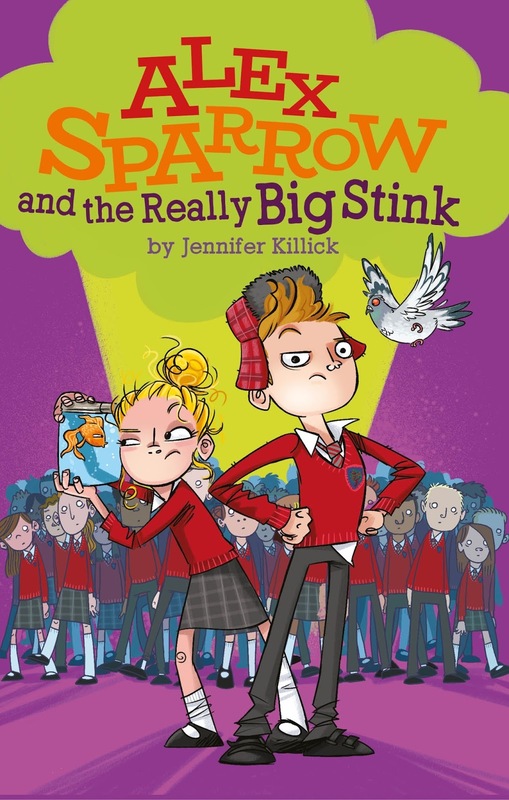 Jennifer's book, Alex Sparrow and the Really Big Stink, will be published in June by Firefly Press. ‘Alex Sparrow and the Really Big Stink’ started life as a short story in December 2010, so this debut has been a long time coming! I’m so excited about my story evolving into a gorgeous book that I can hold in my hands. I’m proud of what I’ve achieved, and so grateful to everyone who helped me along the way. Most of all, I can’t wait for children to read it! I hope it makes them laugh and be inspired, and I hope it encourages them be a little bit kinder, to themselves and to others. The creation and development of the cover for The Stink has been my favourite part of being published so far. Firefly asked for my input at each stage in the process, starting with my ideas before anything was put on paper, and then suggestions for tweaks and additions after every draft. I have been so lucky to have been involved in the cover, and to have been assigned a brilliant designer in Alex Dimond, and the perfect illustrator, Heath McKenzie. I can’t express how much I love the finished cover – it captures my story perfectly, is full of colour and attitude, and of course it has my name on it! I couldn’t have wished for anything more. And seeing your characters turned into illustrations is just amazing. How will you spend publication day? My publication date is 8th June, so I’m picturing lots of sunshine and drinking champagne by the river while smiling smugly to myself. I’m having my launch at Waterstones, so I’ll be celebrating with friends and family and drinking more champagne. And of course I’ll be expecting everyone I know to give me extra-special presents. What is your biggest fear about publication? My biggest fear about publication is that I’ll be so worried about book sales and rights sales and future book deals, that I’ll forget to enjoy it. Having ‘The Stink’ turned into an actual book is a dream that came true through hard work, resilience, determination and a little dollop of luck. I want to appreciate that always, no matter what happens next. Every writer’s journey is different, but almost all of them are long and hard. My advice is to surround yourself with people who make your path a little easier or more enjoyable. I was lost until I met Imogen Cooper and joined Golden Egg Academy, where I made some of my now best friends. I was also fortunate to sign with a brilliant agent, Kirsty McLachlan, and I have a wonderful publisher in Firefly. I almost quit writing a year before I signed with Kirsty, when it all seemed too hard and pointless. But that’s when I realised that I write because I love writing, and that I would continue to write whether or not I got a publishing deal. Once that was clear to me, the words came easily and writing became fun again. I don’t know if that love and enjoyment transfers to the page, but it was definitely a turning point for me, and amazing things followed. So keep going, and write because you love it.